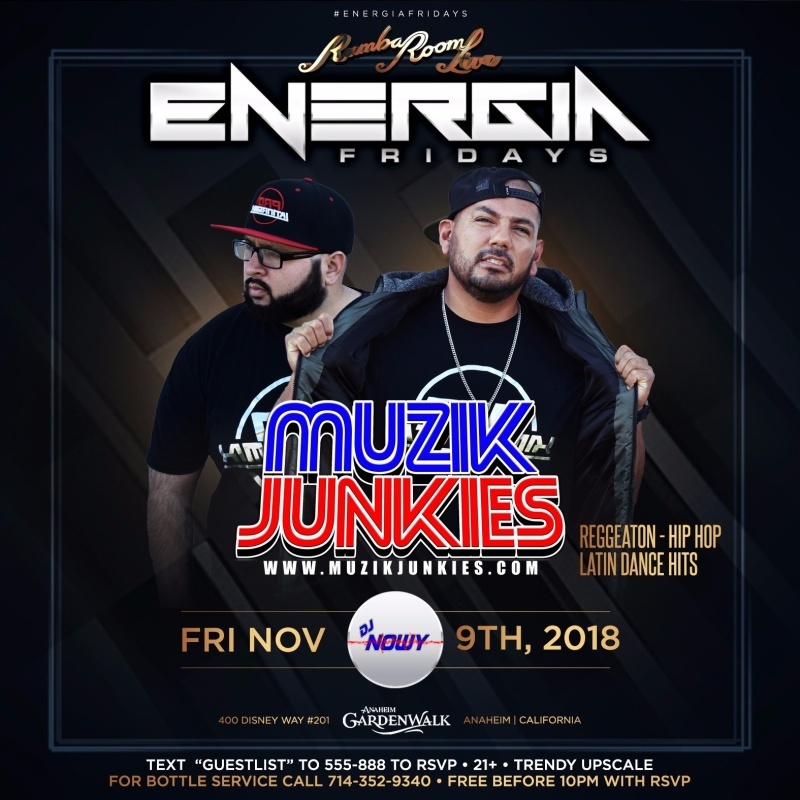 Muzik Junkies will be playing the hottest Latin rythyms at Rumba Room Live. 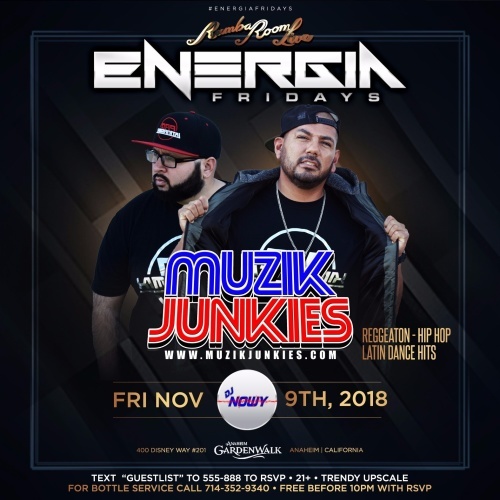 Join us this Friday at the hottest OC nightclub where we play the best in Reggaeton, Hip Hop, Top 40 and other Dance Hits. VIP Bottle Service Reservations please call (657) 999-7900. Free admission before 10:00 pm with approved guest list request only.